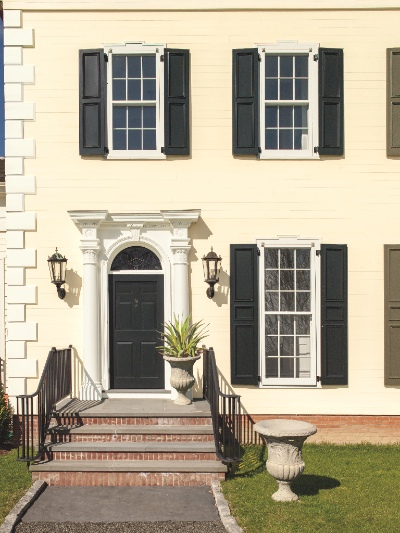 Wall; Corinthian White OC-111, Masonry features; Mascarpone AF-20, Shutters & Door; Black Beauty 2128-10. As we move through the Spring and get out into our gardens, the punishing effect of Mother Nature on the exterior of our homes invariably becomes apparent. 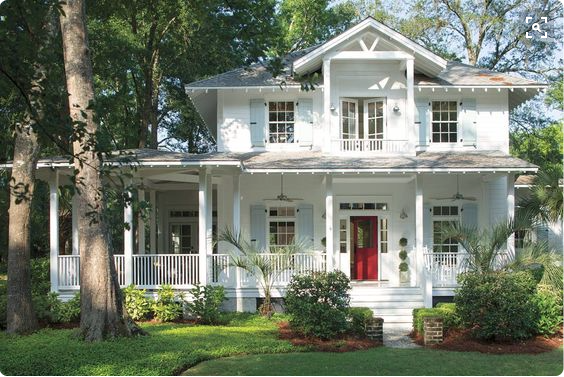 Choosing the right paint�and colour�for an exterior project can not only protect the exterior of your home, but also express your personal style. 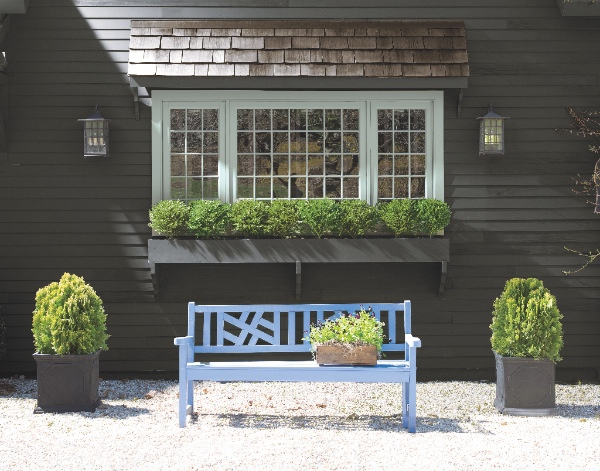 A new breed of high-performance exterior paints are pushing the boundaries in terms of performance and long lasting beauty, and at the top of the league is Benjamin Moore Aura� Exterior. Bearing the Aura name of course means you can expect the same outstanding performance as the Aura Interior product - Colour Lock� technology for stunning colour depth and durability, outstanding flow and extreme hide (never more than two coats - particularly important when you're up a ladder!). 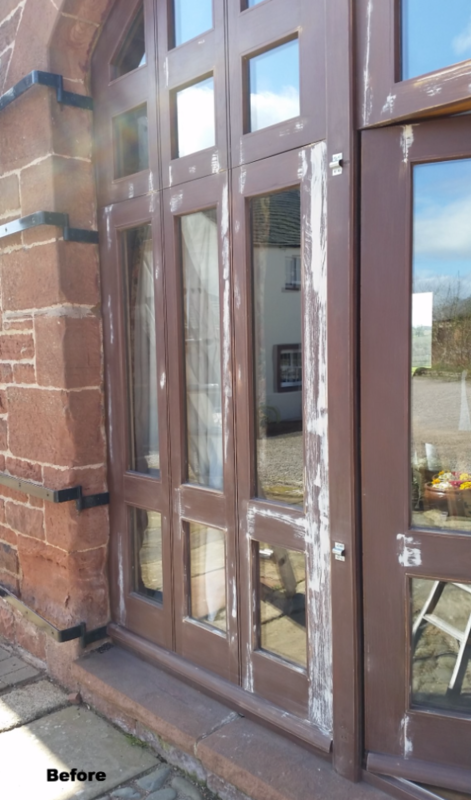 Additionally, the Aura Exterior paint benefits from outstanding adhesion (it can be applied to a wide variety of surfaces), low temperature application (as low as 4? ), and extreme UV protection that assures resistance to cracking, peeling and fading. 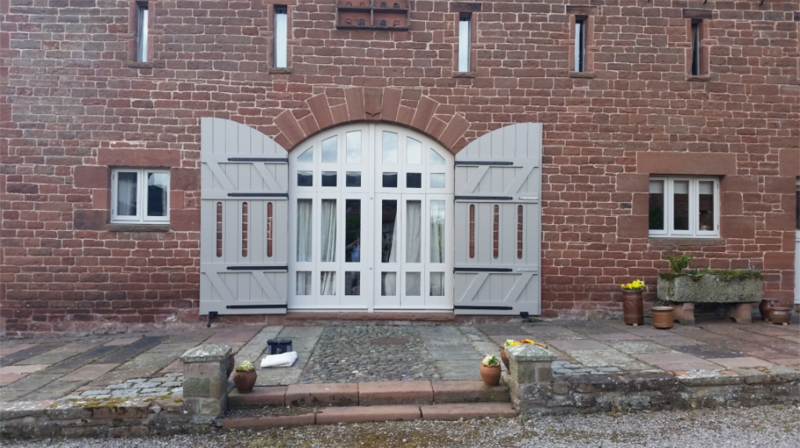 If you are planning an exterior painting project, we have some exceptional colour tools that can help you to pick a stunning scheme. 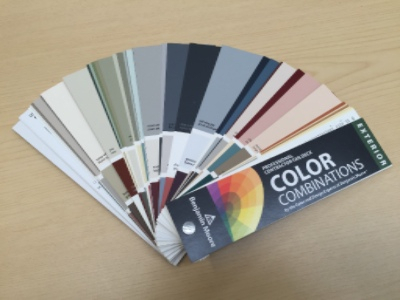 Our Color Collections fan-deck, particularly useful to Professional Decorators, features beautiful schemes curated by the colour and design experts at Benjamin Moore. Request this fan-deck with your next order. 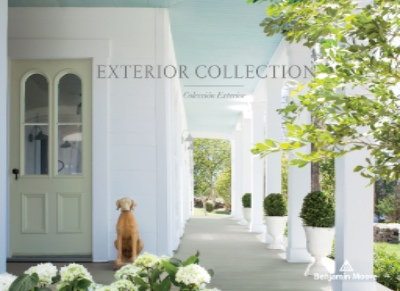 Our inspirational Exteriors colour card features a collection of 36 hues particularly suited to residential exteriors. 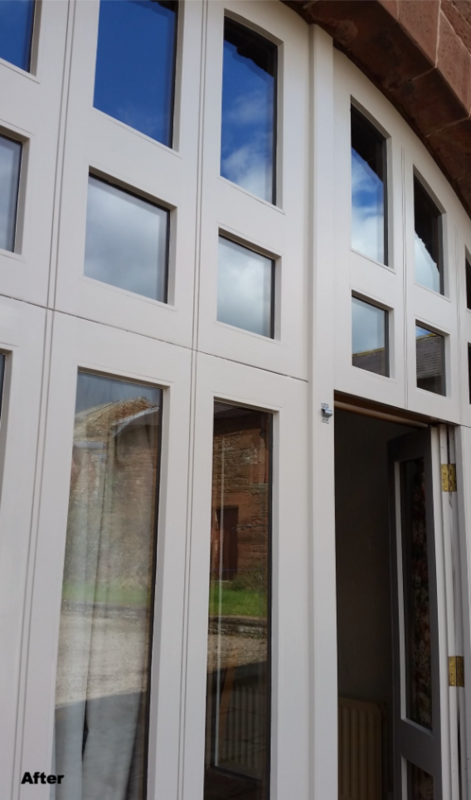 Barry of B Richardson Decorating in Annan has shared his recent project in Cumbria, using Aura Exterior Satin in Ashen Tan 996. 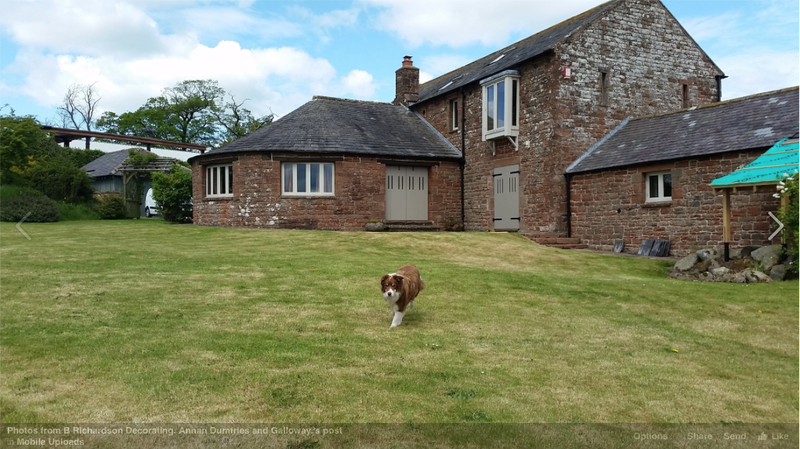 Barry found Aura Exterior to be a fantastic product to use, giving a really "classy finish", and the homeowner was delighted with the result.